As many of you know, I am a “reformed” accountant. I still maintain my CMA and earned a CPA but not longer keep it active. I have also been an active volunteer with the IMA (Institute of Management Accountants) for over a decade – whose members often ask me how they can better use BI Tools and Data Science in their profession (or any other Accounting and Finance related department). Where to start on a subject like Business Intelligence and Predictive Analytics for a Management Accountant? I remember only two years ago when I was doing a presentation on Business Intelligence a regional IMA annual conference and people were asking me “Who makes ‘Business Intelligence’?” As though BI were some software product and I was trying to sell it! That anecdote is now one of my favorite stories to describe how far we’ve come. Not only are people asking me about how they can do better BI, but also about predictive analytics and statistics. It makes me happy to see how far we have come. But awareness and interest are only the first steps to effective execution of Business Intelligence and Analytics – and to be effective we need knowledge. This article intends to give you the jumping off point you need to go from ‘interested’ to Analytics Rockstar’. I am going to lay out a general philosophy, talk about some frequent pitfalls when an organization gets started in BI, and then talk about some tools, tactics and, most importantly, talents required to move from one stage of analytics to the next. To understand why BI and Analytics are important to management accountants, first we have to understand what BI and Analytics are. In fact, using the word “Analytics” is a bit confusing, because all that really means is creating information from knowledge. 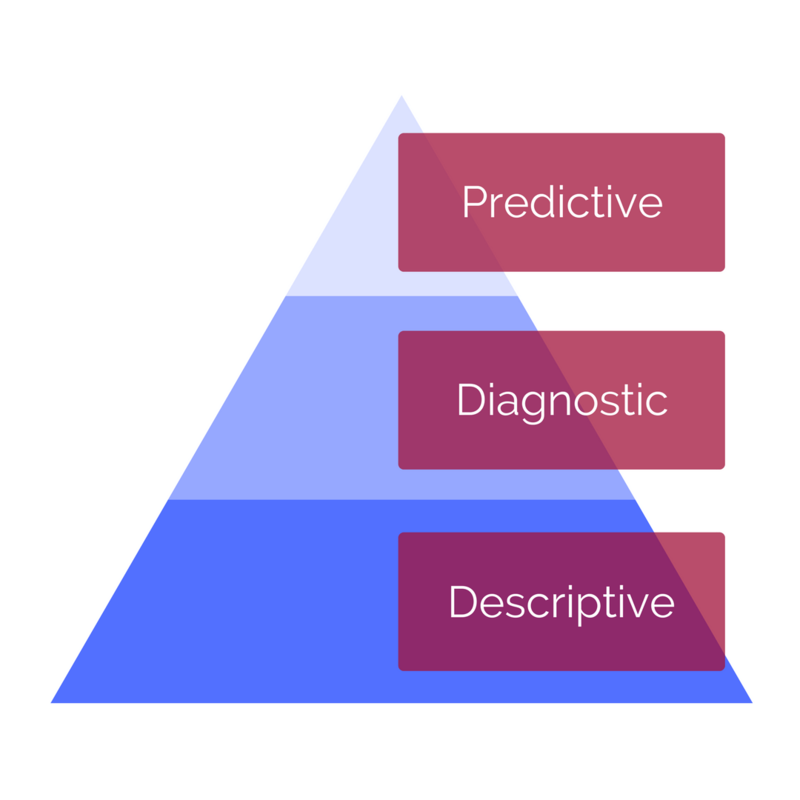 It is helpful to understand that there are three types of Analytics: Descriptive, Diagnostic, and Predictive. Business Intelligence is using multiple sources of data, particularly data external to your organization, and even more specifically data as it relates to your competitive environment, to enhance the profitability of your business. In simple terms it’s combining a bunch of different data sources so you have a better idea of why your business is in its current state. In other words, it is a diagnosis. Contrast this to “Reporting” and its use of only data internal to the business to provide a view of historical performance. That is, it is descriptive of performance and leaves any insights to the reader. Financial reporting, even advanced metrics such as Free Cash Flow are descriptive analytics – they only state what happened, with no indication as to the reason. 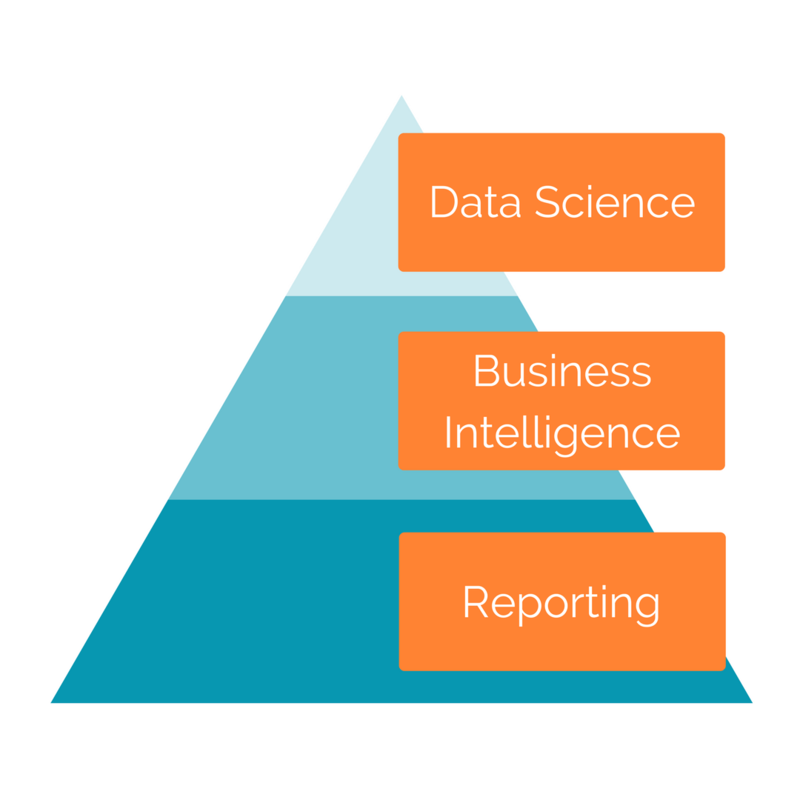 The levels we have discussed: Reporting, Business Intelligence, and Data Science typically correspond to Descriptive, Diagnostic, and Predictive Analytics. As an organization becomes more “Analytically Mature” this is the path in which they typically grow. A quick note. Simply because Data Science is considered more “Analytically Mature” than Reporting does not mean Reporting is of lower value to an organization than Data Science. Quite the opposite, it means that Data Science cannot exist within an organization unless there are foundational reporting processes in place to define business rules around data – as well as clearly understood relevant internal and external (business) environmental factors impacting the business as given by the BI discipline. We are now going to discuss the benefits and skills required for step of Analytics Maturity. But first it is prudent to mention a very common pitfall for organizations attempting to grow their analytics – The Tool Trap. By “The Tool Trap” I mean most companies attempt to solve their analytics problems by buying some type of analytics software. The problem with only buying software is all good analytics software requires two things: quality data and analytics talent. The amount of experience someone has using Tableau or SAS isn’t what makes them good analysts, it’s the amount of experience they have deriving insights from data, understanding your business area, and communicating results. Any good analyst – reporting to data science – will be able to figure out any platform put in front of them. 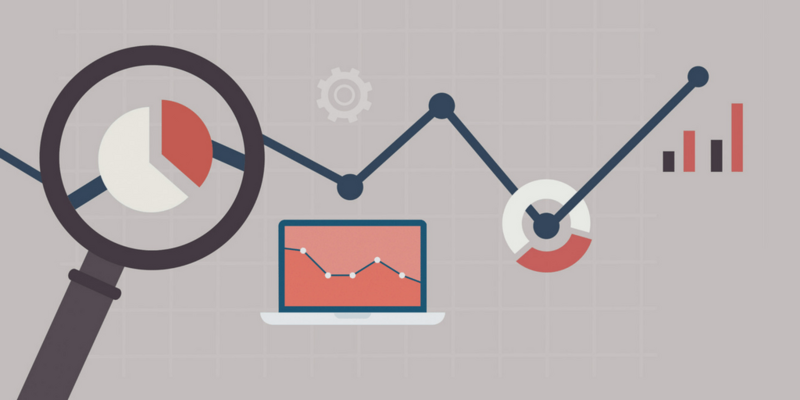 Quality Data is a big part of having successful analytics. There’s a saying in the data profession “Garbage In, Garbage Out” (or “GIGO”); meaning if the data going in is garbage, then any insights will also be rotten and smelly. An effective analytics maturity plan will also include an evaluation of data sources and steps to increase the quality and quantity of available data. Nevertheless, because everyone wants to know “what tools does my organization need to do analytics”, for each step in analytics maturity we will start with the tools, then indicate the actual skills required, followed by some general information and concepts to help you along. Reporting is the foundation of analytics. A strong foundation is created by having consistent business rules around data. In most organizations, a separate data environment is created to maintain data in a consistent and accessible form. This separate environment is called a Reporting Database if it’s a replication of the production database; a Enterprise Data Warehouse (or EDW) if the data is shaped into multiple dimensional tables for KPI reporting over time (i.e. “Cubes”), or a “Data Lake” if raw data is placed into a big data environment along with more and more layers of aggregation and structure via PIG, HIVE, HBASE, and/or SPARK. “Business Intelligence” is one of the most overused terms in modern business (Data Science being another). This can lead to confusion on what BI actually is. By the standard definition, Business Intelligence is the use of internal and external data to provide a competitive advantage to an organization. Unfortunately, most of the time, an organization thinks connecting Tableau to a database and creating a pie chart is “Business Intelligence” – it is not. For one thing, if anyone had asked, the people maintaining the database probably could have made that chart for you and two, that’s not business intelligence, that is reporting. Remember, business intelligence is about Diagnostic analytics, not descriptive. In the example above, if they pie chart was compared to general financial and economic indicators over time and used to justify a hypothesis that the business needs to diversify its product portfolio into more prestige pricing goods, then it would be business intelligence. Strategically, this distinction is important when making hiring decisions and motivating employees. I have seen far too many talented analysts get burned out because they get trapped maintaining reports for business users, as opposed to providing value added guidance and new analysis to those same users. A good BI and Reporting groups will understand the skill sets of their respective departments and allow the reporting team to provide consistent and stable information to users while the BI folks find new insights and data sources to migrating into a reporting pipeline. Successful reporting requires consistent business rules around your internal data, i.e. your business model. Success in Business Intelligence means allowing the Analyst access to internal data and the freedom to enrich your internal data with new external data sources. Typically this requires yet another data base replicating the reporting database and giving some business intelligence resources write access. Alternatively, many organizations are moving into a ‘data lake’ approach. You see, building new databases can be expensive with hardware, software licensing, ETL development (That’s “Extract Transform Load” database jargon for taking raw data and putting it into a database.) and administration. The data lake is a big data repository of all the data, and I mean all the data. Every bit of data produced by your business is dumped into a data lake – from machine sensor data to employee timecards – then different teams are given access to relevant data and defined data models (aka “schemas”) are built on top of the raw data. Regardless of how your organization gives data freedom to the business intelligence team, the freedom to acquire and enrich data (in a secure manner) is the important part. One additional requirement for business intelligence success is a means to quickly distribute their analyses and insights. Fast dissemination of information is vital for business intelligence success, this is Diagnostic analytics after all. Most organizations begin with connecting Excel to a database via ODBC. (Open Database Connectivity, it’s a local application that allows one program to obtain data from a remote database.) However that is slow and difficult to scale. In order to allow more users to access their analyses quickly, BI teams are moving toward online connected applications that provide a quick connection between the data sources and an online analysis for consumers of the reports. This one area where tools like Qlik, Spotfire, and Tableau facilitate the growth and adoption of BI in an organization as they provide very simple means for data connected analyses to be published online. Continue reading this series with part two of How to Become More Analytically Mature: What is Data Science.